Barbecue and Homebrew. Can you think of a better combination on a beautiful September afternoon? Add in some football; it doesn't get much better than this. 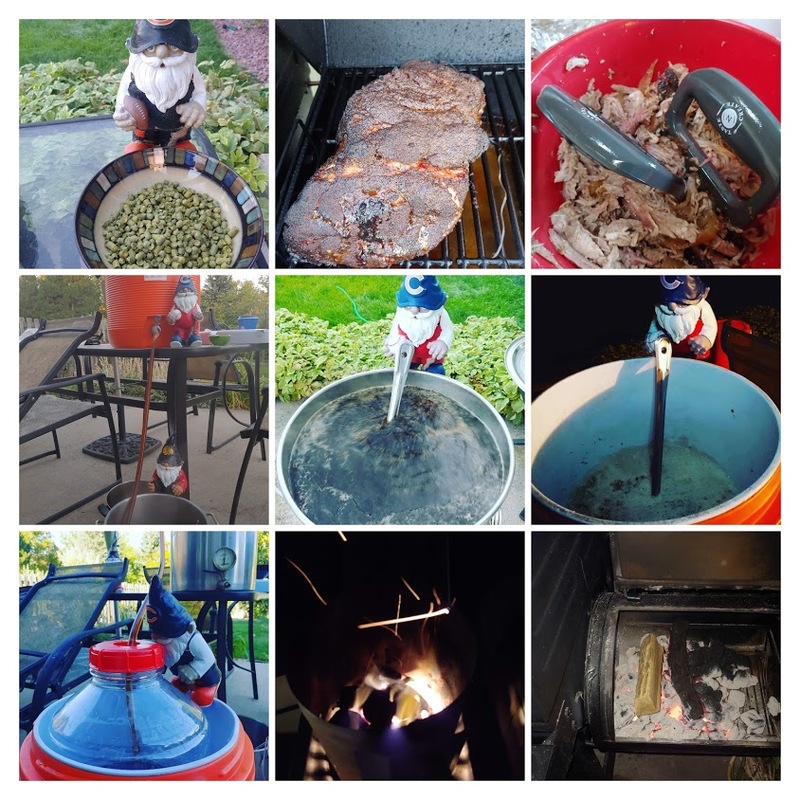 I brewed and barbecued exactly two weeks ago today. The homebrew of the day was a new SheppyBrew recipe called Scallywag Czech Dark Lager. I'm not real familiar with the Czech Dark Lager style. It is there in the newest BJCP guidelines, but I don't think I've ever actually had one. I am in love with Czech Pilsners (now referred to as Czech Pale Lagers in the BJCP Guidelines). I figured I would simple make my My Ello Poppet Czech Pilsner and add some color. We are only just now getting around to posting our 2nd quarter results. As I start to type this, the 3rd quarter is almost done. Like it ends tomorrow. As you may know, the Brewery likes to post quarterly updates on how much we have brewed. You can see all these updates (including the one you are reading right now) by following this link: Sheppy's Blog: Brew Stats . We didn't brew a whole lot in the 2nd quarter. That is it. Only 3 batches. Only 15 gallons of beer. I have gotten bad at getting my blog posts out. This post should have been published at least 2 weeks ago. 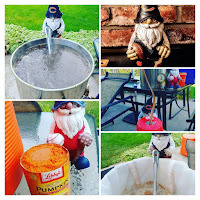 On Sunday, September 9 I brewed the 2018 Will-o'-Wisp Pumpkin Ale. For some strange reason, my wife REALLY loves pumpkin spice beers. That being the case, in 2014, I designed a pumpkin spice ale. And I brewed it. Happy wife ... happy life ... right? It is actually pretty good. The base beer is fantastic and the pumpkin spice is subtle enough that I can drink it, while still being present enough for my wife to enjoy the beer. Only highly skilled brewing craft men can walk that fine line. Good thing I'm awesome like that. Some people will tell you that you don't need pumpkin in a pumpkin spice ale. I disagree. 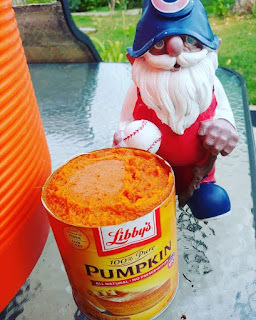 So, I put pumpkin in.